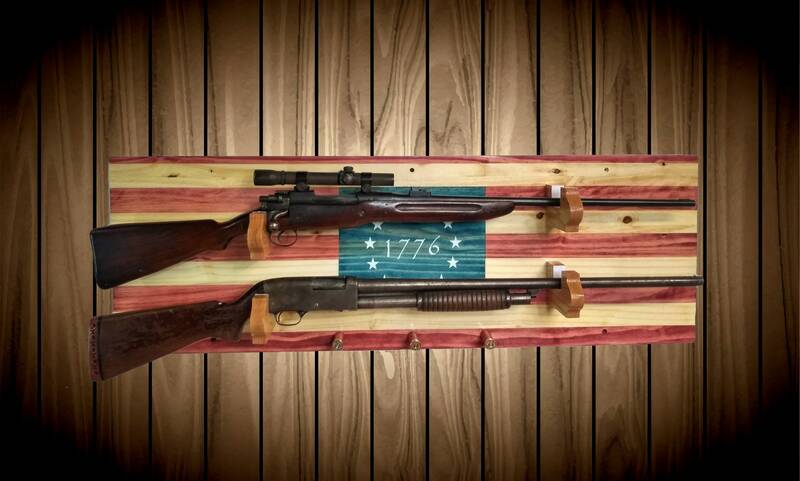 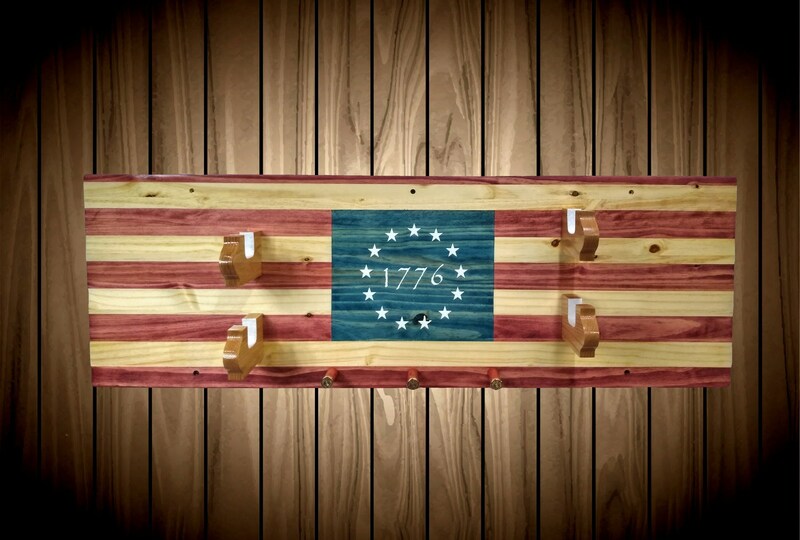 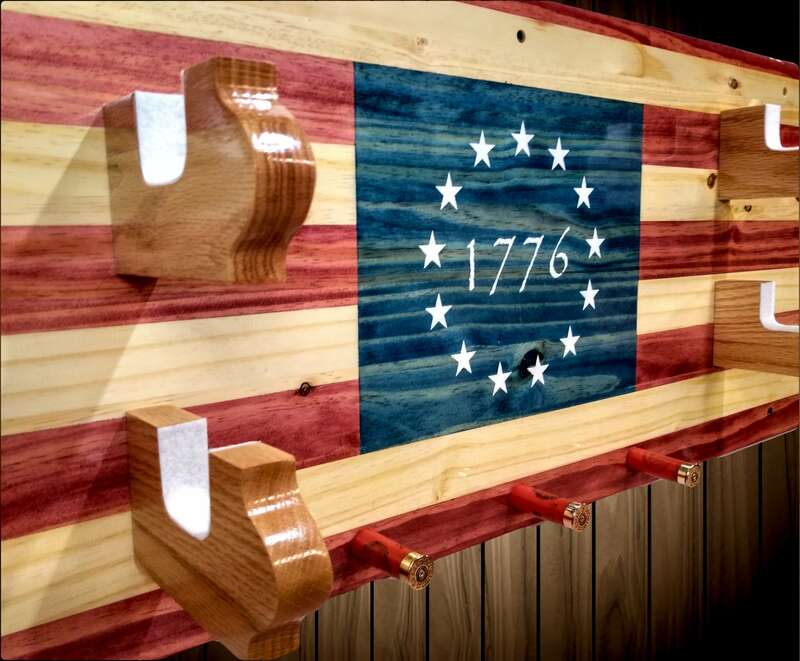 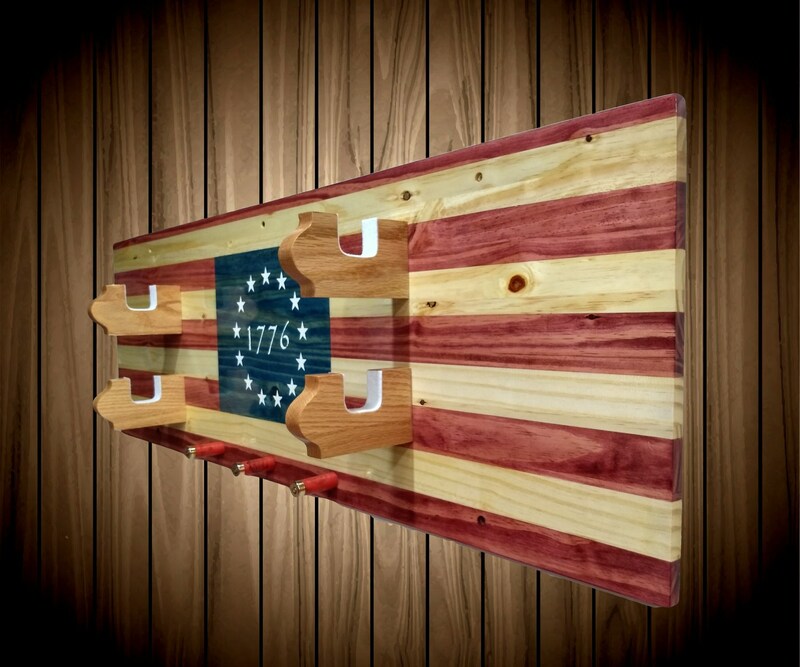 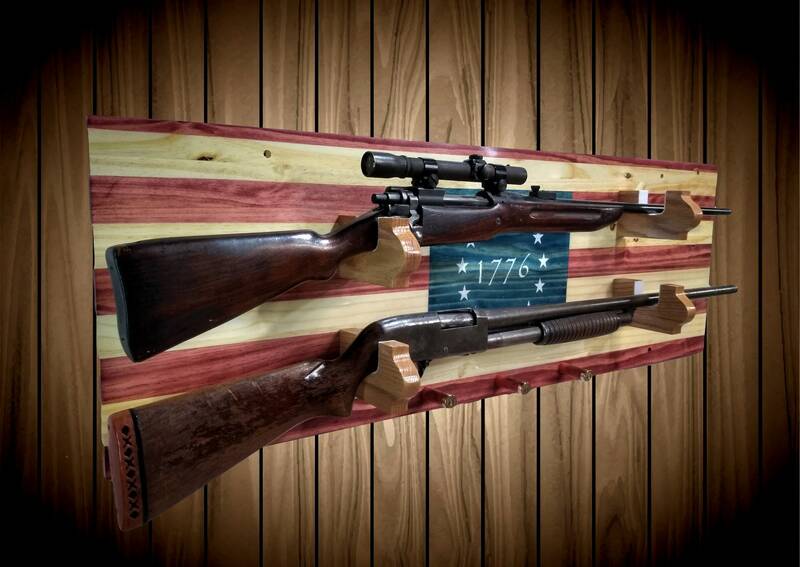 Beautiful Knotty Pine, Americana Flag Gun Rack. 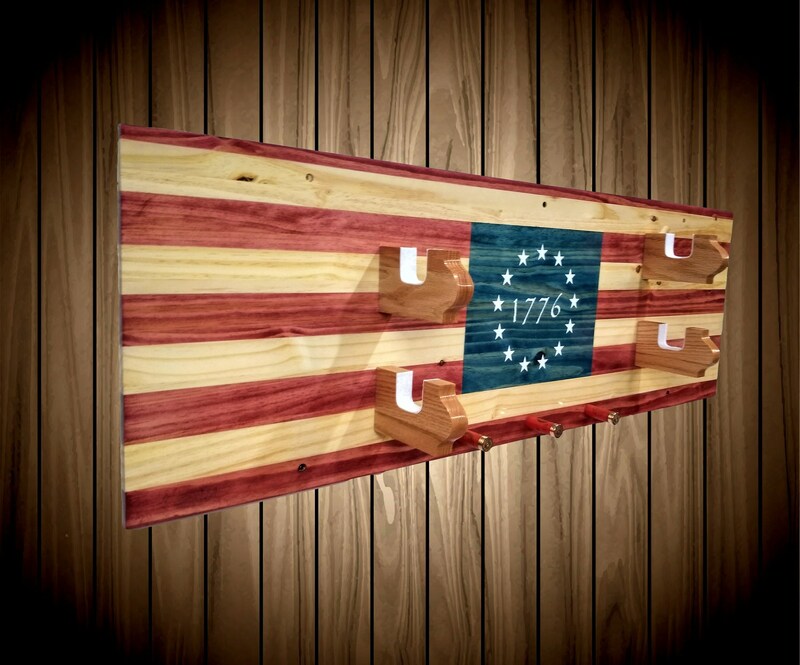 Thirteen Star, Betsy Ross 1776 Flag. 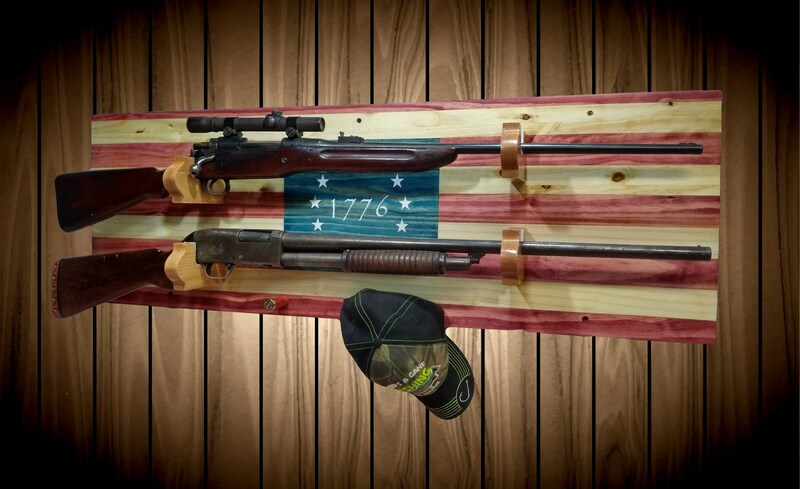 Unique Solid Oak Bullet Gun Holders w/ White Felt. 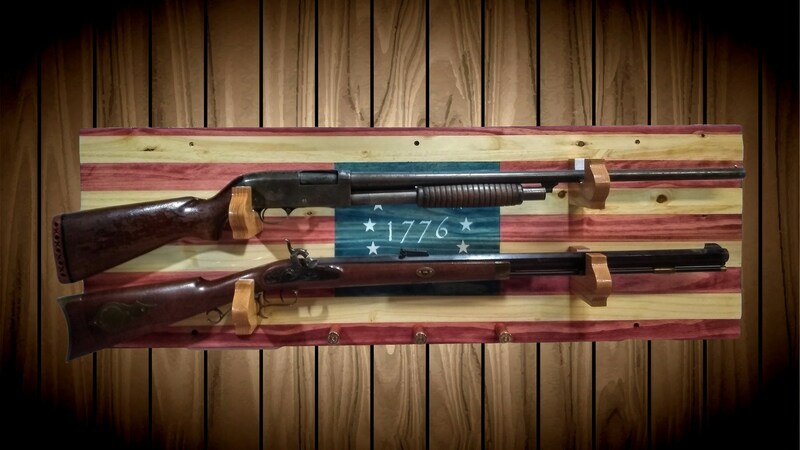 Three Dowel Backed, Shotgun Shell Pegs.